a load of figures painted! for sponsorship pledges. If we can raise £750 we can really help. extra 25% on top of what you donate will go to the charity. 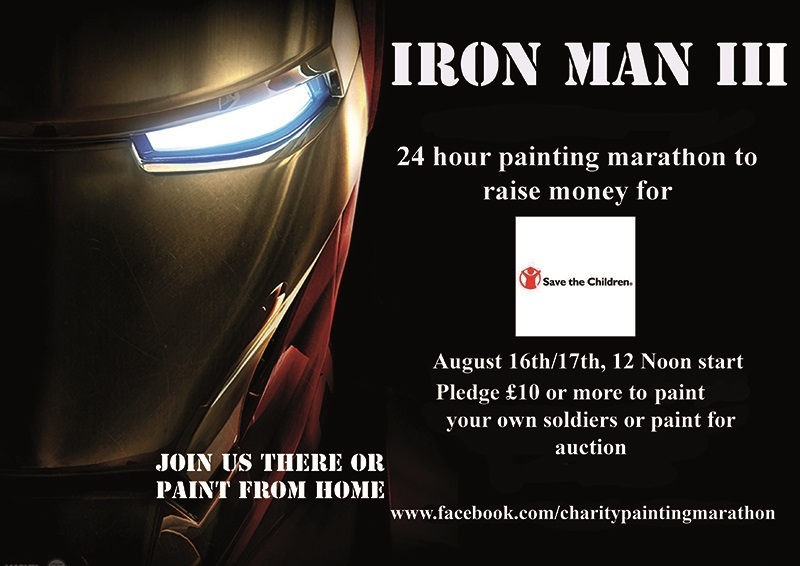 1/ A 24 hour painting marathon for charity. some family members to sponsor you. Chuck some money in yourself. done at home. Chuck your £10+ in or gain sponsorship. 4/ August 16/17th. Start time 12 noon. This entry was posted on Friday, August 8th, 2014 at 16:32 and is filed under News. You can follow any responses to this entry through the RSS 2.0 feed. You can leave a response, or trackback from your own site. Great idea. I hope it raises a load of money.